Ideal for vlogging, live streaming, interviews, talking heads, make up application and tutorials, portrait photography and small product photography. This small ring light measures 345mm externally and 265mm internally, weighs 650g and has a maximum illumination of 1690 LM, with a power output of 24 Watts. Supplied with a range of accessories including smartphone clamp and make up mirror that mount in the centre of the light. Colour temperature is steplessly adjustable 5600K (daylight) to 3200K (sunlight), and brightness is adjustable 0-100% using the easy dials on the ring light. Easier to operate than color filters,the color temperature of Nanguang LED ring light could be dimmable from 3200K(warm light) to 5600K(cool light) to get tungsten and daylight environments for your photos and videos. More convenient than to use a diffuser cloth,the photography LED ring light comes with a diffuser to soften the lighting, which helps to perfect your skin and its unique ring shape renders a charming catch light in the eyes, particularly suitable for make up,weddings, portrait, selfie, live webcast, photography, videography, Youtube/Facebook video and more. Nanguang dimmable ring light could either mount with light stand(bought additional) or desktop light stand(bought additional). 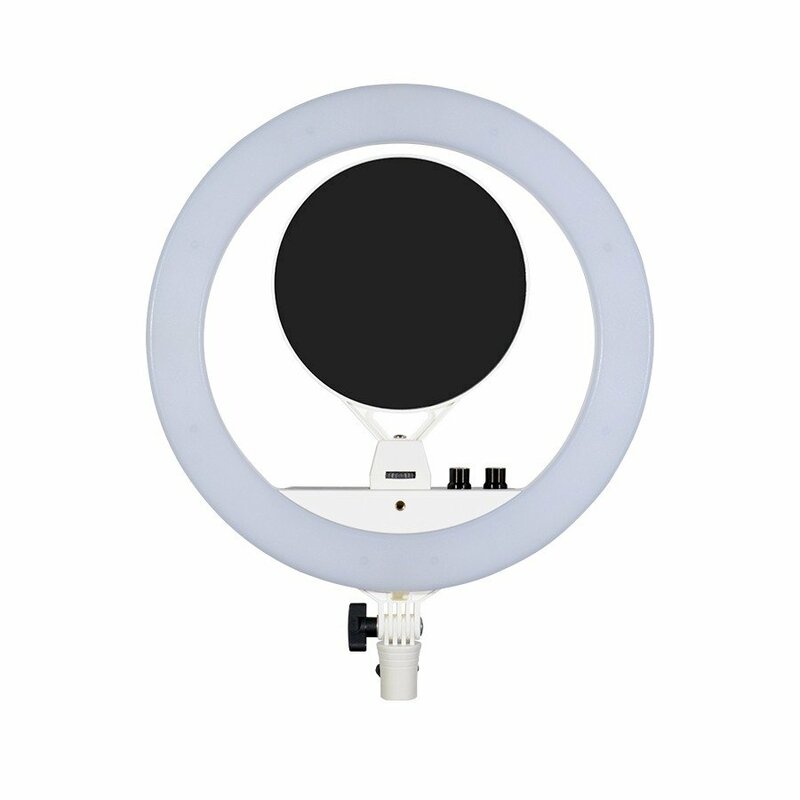 This portable ring light is small and thin in size to save your spaces,perfect for store and travel. You could use the mirror to make up and the cellphone holder to mount with your phone to take beauty selfie or live stream.